Brain injury can have a significant impact on a person’s ability to make decisions. These changes can be permanent, so long-term arrangements may need to be put in place to enable decisions to be made in a person’s best interests. This article, by Joy Davies of Brain Injury Group members Hugh James, explains about making a will after suffering a brain injury. By 2025, more than 13 million people who are at risk of losing mental capacity will be unprepared with no legal plan in place for their future care. Approximately 65% of people mistakenly believe that they can leave decisions relating to what happens after they die to their kin, without taking legal steps to ensure that, meaning they are at risk of not having their wishes fulfilled. The fact that someone has suffered a brain injury does not preclude them from making a will. 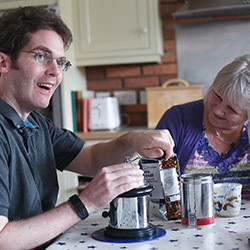 However, if they haven’t already made a will and/or the will is no longer suitable given a change in circumstances and their brain injury is so severe that they no longer have mental capacity; you may decide to apply for a statutory will on their behalf so that their loved ones can still benefit the way they wanted them to after they have gone. If a person lacks the testamentary capacity to make a will in their own right, a will can be made on their behalf under the Mental Capacity Act 2005, provided the vulnerable person is over the age of 18 years. These wills are known as ‘statutory wills’. A statutory will has the same effect, for all intent and purposes, as if the will had been made by someone who had the capacity to execute the will themselves. When can a statutory will be considered? their previous will is no longer satisfactory in the circumstances; or the provisions they have without any will (intestate) are not suitable. How do I make a statutory will? In order for a statutory will to be valid, it must be authorised by the Court of Protection. The Court will focus on the person’s best interests and will aim to make a will which the vulnerable person would have wished to make if he/she had the capacity to do so. give details about the vulnerable person’s personal circumstances and their finances. those who would expect to benefit if the vulnerable person died without a will. The relevant parties will be asked to confirm they have been notified of the application and register any objection. The Court will also appoint an Official Solicitor to assist with the application to represent the vulnerable person in court cases. If the application is unopposed and the terms of the proposed will are agreed with the Official Solicitor, then the court will then determine the application on the papers. The order is then prepared and sealed, sometimes without an attended hearing. If the application cannot be dealt with on the papers, then a hearing will be necessary. The judge will make an order at the hearing, which will authorise the applicant or another person to execute the statutory will in the form approved by the court. Once accepted, a statutory will can then be signed by the applicant, in the applicant’s name and in the name of the vulnerable person with two witnesses present. The Court will then officially seal the will and it will have the same effect as if the vulnerable person had the capacity to make a valid will. 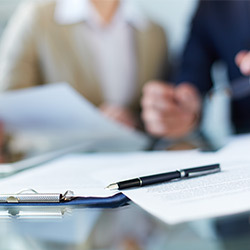 The usual rule is that the estate will bear the costs of the parties; however, the question of whether it is essential needs to be considered carefully by the applicant. Joy Davies is a Solicitor within Hugh James’ Court of Protection unit. She is based in Hugh James’ Cardiff office, but accepts clients from across the country.